Is There Any Sport Involving More Stupidity than Football (Soccer)? This article is written on the occasion of the recent football (soccer) match between England and Ukraine from the group stage of Euro 2012. We won't discuss here whether Ukraine should have won or not and which team was better. We won't discuss so much the problematic goal in this game as well. In brief, there was a goal for Ukraine that was not allowed because the referees were not good enough to see the ball passing the goal line. It was a critical mistake resulting from the imperfections of the human body. Some people claim there has been an offside before the goal. Well, even if we agree with this, it does not revoke the goal. An overlooked offside could only show that the human referees are even more imperfect. UEFA refereeing chief Pierluigi Collina said that 95.7% of the close decisions made by the referees on Euro 2012 were correct and according to him this is a huge result. In fact, 95.7% could be a good percentage in many other cases but when it refers to judgements affecting somebody else it is rather weak. I think it is out of the question that human referees must be aided by technologies. It's 21st century after all. This has been admitted even by Sepp Blatter (FIFA president) who has previously claimed that a referee's judgement must be seen as final and that mistakes are part of the game (in regard to players undeservedly receiving red cards). But... This change will probably take time. Because changes in football happen quite slow. What time is needed for is actually debatable cause such a technology has already been a necessity for decades. It is mainly related to the unwillingness of the football administration (incl. the president of the UEFA Michel Platini) to introduce changes despite the glaring need for them. 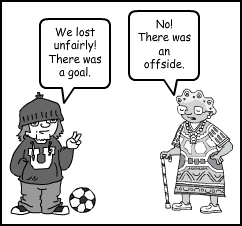 Of course, the lack of unanimity among the football society does not help either (e.g., the English players and fans are not mad at all after their match with Ukraine in contrast to their attitude two years ago during 2010's World Championship in South Africa when they were the injured side). Unlike other games, in football only a few points (goals) are scored during a match. Overlooking one of them could be (and had been a lot of times) crucial for the outcome of a game. Note, that the so-called Hawk-Eye system is used in sports like tennis where one "wrong" point is actually not so critical (although always unpleasant). Furthermore, similar to the cycle of the Olympic games, football's World and European Championships are rare (once per 4 years). There are only a few big competitions in the carrier of a footballer and sometimes it could be even one (especially if the player is from a country that is not a constant major force in the sport). So imagine what should be the frustration a football player gets after he is dishonestly eliminated from one of the most important events in his not so long carrier. It's a mockery with his continued efforts to achieve something. And now comes the main issue? How is it possible the most popular sport in the world to be surrounded by such a degree of stupidity? And I'm not talking only about the contemporary footballers, which are often accused of being quite unintelligent. I'm not talking about the fans who often do stupid things. I'm mostly wondering why all involved in this sport do nothing about the situation with the human referees injuring their interests and endeavours. Yes, it is true there a lot of conservative people in FIFA (Fédération Internationale de Football Association) and UEFA (Union of European Football Associations), probably there are even some idiots. But this is not a reason to suffer for so many years. If all football players, managers, trainers, club owners, etc. decide to boycott FIFA and UEFA the problem will be solved in less than a week. UEFA and FIFA are nothing without the men producing the billions of dollars in this sport. Football has become an enormous money making machine. And it is even more inexplicable why the guys that actually make the money do not take any action against the spoilt system. Making referee decisions in football more accurate is easy. We are not talking about rhythmic gymnastics, for example, where any estimation is inevitably subjective. Introducing some electronic devices will not be so expensive and it will lead to considerably lower amount of wrong referee calls. It is clear that such electronic systems won't be equally necessary in all football competitions. Yes, it is always nasty to be harmed by a referee and lose a game unfairly but if there are not Hawk Eye devices or similar installed for the games in 5th division it will be comprehensible. It's true that if you've lost a game you cannot blame only the referees. Yet, it is a shame that such absurd mistakes happen at football competitions of the highest level. A revolution in the international football affairs could be achieved in no time. People won't blame a revolution like this because apparently decades have not been enough for achieving better judgement in evolutionary way. The question is why nobody really cares about it. Is it because the best players in the world make huge amounts of money anyway and they are not so concerned about (dishonestly) losing a match or there is more to it? 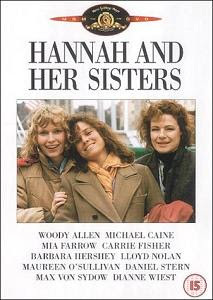 I am not a huge fan of Joel and Ethan Coen's work. I find the majority of their films start out really great and intriguing. But what most often happens is at some point after the middle of the movie, they begin to lose momentum and magnificence. It could be they raise the audience's expectations so high that towards the end they are not able to fulfil them. The feeling I usually get after seeing a film of the Coens is of somehow wasted potential. What I like about Miller's Crossing is that it almost does not suffer from the aforementioned problem. It is not perfect but it is a good movie and I would recommend it as one of the better experiences the Coen brothers' have offered until now. 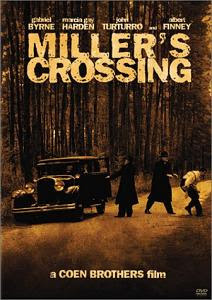 As many other gangster films, Miller's Crossing is set in the Prohibition Era in the beginning of the 20th century. Tom Reagan (Gabriel Byrne) tries to keep the peace between his Irish boss Leo (Albert Finney) and another gang of Italian mobsters. Leo insists on protecting Bernie Bernbaum (John Turturro) after the latter cheats the Italians' boss Johnny Caspar (Jon Polito) cause he is in love with Bernie's sister Verna (Marcia Gay Harden). Tom knows this is wrong and will lead to a lot of trouble for the Irishman but Leo does not listen to him. To make the relationships even more complicated Tom and Verna have an affair too. Reagan has to make some important choices and there are other characters in the mix whose "ethics" is questionable. Miller's Crossing offers an interesting and rather intricate story. The relationships between the characters are quite complicated as well and most of the time it's hard to understand what is the actual motivation behind their actions (especially in regard to Tom Reagan). The movie features plenty of double-crossing and divided loyalties. There is a lot of outwitting and the exact outcome is not obvious. In a way Miller's Crossing slightly resembles Akira Kurosawa's Yojimbo (and it is also influenced by Dashiell Hammett's novels The Glass Key and Red Harvest) but Tom Reagan is in pursuit of completely different goals compared to the protagonist in Yojimbo. The movie is about criminal "ethics" and loyalty. The former is not amongst the virtues of the main character but there are a few ironic (and iconic) speeches about ethics delivered by Johnny Caspar who is skilfully played by Jon Polito. The police in the city is practically bought and controlled by the dominating gang independently which one it is. Episodes of violence and black humour are to be expected (it's the Coen brothers' movie after all). And as usual the presence of symbols is not overlooked either, e.g., look about for a hat. The acting in Miller's Crossing is very good and the casting has been quite successful. Gabriel Byrne does a wonderful job portraying the smart, restrained, laconic and amoral Tom Reagan. He has his own agenda and we are wondering throughout the whole film whether he has a heart or not. Albert Finney is behind the scene most of the time but when he's in frame, he makes are memorable appearances. John Turturro is really annoying as Bernie and it is not difficult to see why somebody would want him dead. Marcia Gay Harden is decent in her performance of Verna in an otherwise entirely masculine movie. While the ending of Miller's Crossing could not be to the taste of everyone, I think the film is of an almost steady quality in its whole continuity. The Coens have done a better job than usual and the camera work is at the elevated level one would expect from their movies. The film lacks the grandeur of The Godfather but it is a very solid gangster movie and a good choice if you are an admirer of the crime genre. 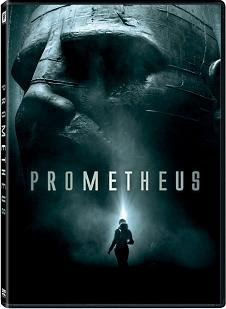 Ridley Scott's Prometheus have many prerequisites to become a big success. It has a great director. It sports a capable cast. The movie has a cult relative in the face of Alien. It impresses with spectacular well-crafted visuals. The story has a good premise. The narrative is full of surprises and twists. The film has an own (alienated) atmosphere. There is a huge ground for lots of curious discoveries to be expected. Yet, the movie fails to take advantage of all these privileges. What could have turned into another classic movie is doomed by a weak script, plenty of ambiguity and unnecessary (sometimes ridiculous) events and characters. Prometheus is set in the not so distant future (something not believable on its own having in mind the modest progress of the humanity in regard to space travels in the last decades). A group of scientists discovers clues related to the creation of the mankind, which lead them to a distant planet. They expect to find answers to the important questions about the origins of the humanity. Instead, they find traces of former destruction and an imminent threat for their own existence. The future of the Earth and the human race may also be in danger. Prometheus is visually stunning. The special effects are very well done and there is not much to be desired in this aspect. As often happens though, 3D is not really needed to make the film better looking. The movie is limited in its location span but this is not an actual problem cause there is still enough space to be explored and discoveries to be made. What limits the film's soaring is that each new secret unveiled to the audience creates a bigger mess instead of answering questions. Prometheus is not boring and it offers enough unexpected moments but when each event adds to the mystery rather than solving it, the appeal of the movie suffers (at least in the eyes of the broad audience). And I am not talking only about not answering the question of the mankind's origin. Pretty much every other single subplot is lost in obscurity. And what is more bizarre, the lack of distinctness is heavier in the actions of non-human characters. Yes, one can accept all of it by either inventing own versions of the missing pieces of the puzzle or by imagining that everything will be explained in a sequel. But this is not how a self-contained feature film should be done. Even the utterly unnecessary prequels to the original Star Wars trilogy were relatively self-contained and completed on their own. The acting in Prometheus is generally Ok but there are some strange casting decisions, e.g., Guy Pearce is in an episodic role of a very old man (without any obvious reason for choosing a not-so-old actor). Michael Fassbender as David gives the most memorable performance in a movie that is not supposed to leave enough room for demonstrating great acting. Noomi Rapace and Charlize Theron are fine in their parts (as far as the script allows them). The rest of the cast with the exception of Logan Marshall-Green and Idris Elba who have a bit more of a screen presence is almost forgettable. The movie raises some associations with Stanley Kubrick's 2001: A Space Odyssey, mainly in regard with leaving most of the questions about the humanity unanswered and the way an artificial intelligence character behaves. Similar to Kubrick's movie Prometheus also offers some great visual effects. Of course, for the fans of the Alien franchise has been thought of as well and there is material for them too. Prometheus has an interesting story in spite of its numerous flaw. It is not boring and holds your attention most of the time. There is enough to justify seeing it. The problem is the film promises more than it actually delivers and the excessive vagueness spoils its completeness. Prometheus feels more like an episode in a series rather than a separate solid movie.